I just read (and believe) that one of the top ten constant determiners of happiness is our ability to imagine the future and look forward to it. Last spring, as my husband and I planned our two week summer vacation in Europe, I enjoyed imagining the places we would go and what it would be like. We had some good ideas about things to do during the first ten days, in Portugal, the south of France and Lyon. 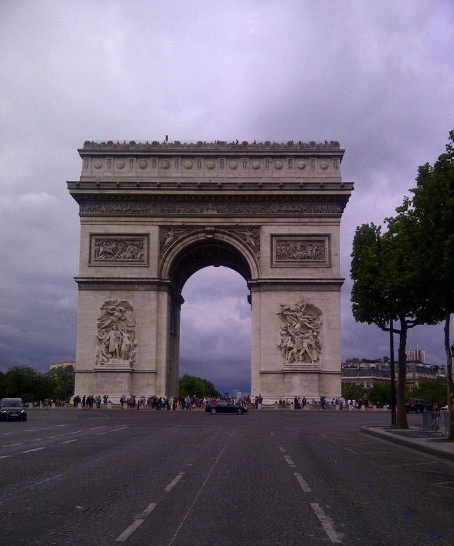 For our last three and a half, to be spent in Paris, we made a list of sights to see. But we knew we might not have time to see them all, or visit all les lieux touristiques. And we didn’t. Despite the fact that we had “fast passes” to the museums, there were just too many people — tourists! — crowding the streets and the places to see in the City of Light — La Ville Lumière. 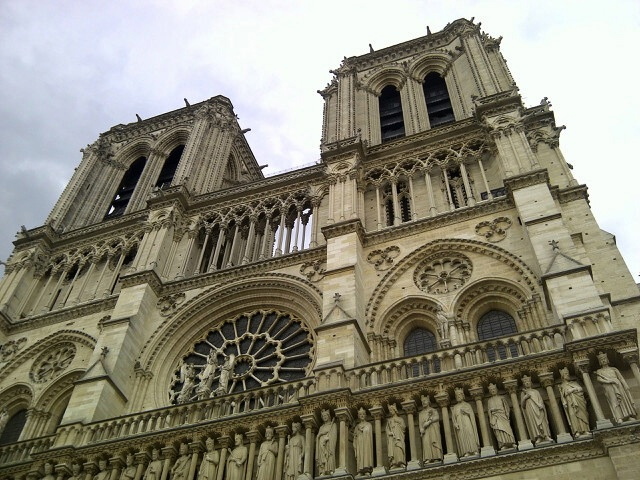 On our first afternoon, we walked to the Eiffel Tower (but didn’t climb it), then took a touristy boat ride over to Notre Dame and Ile de la Cité. 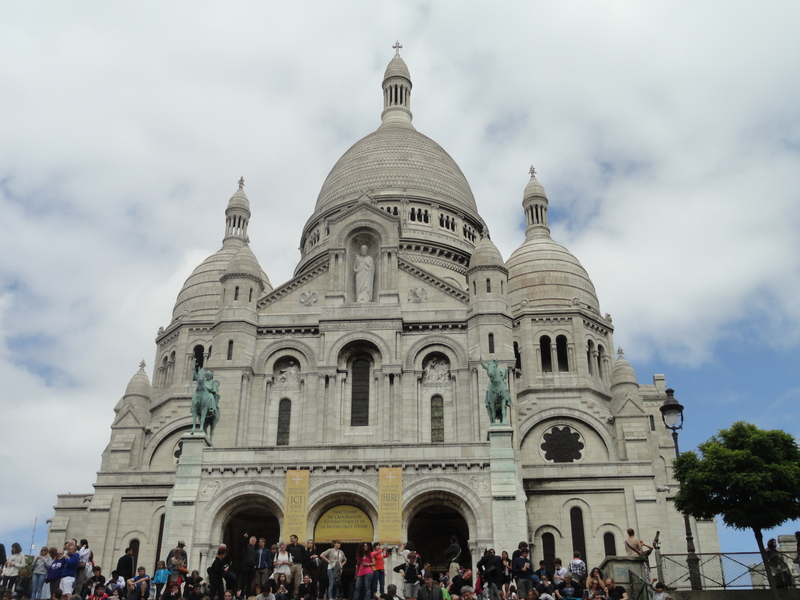 The next day we climbed to the top of the Arc de Triomphe, then made our way to Montmartre and Sacré-Coeur. 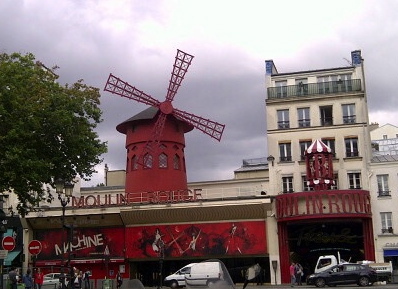 We found the Moulin Rouge, spent a few hours inside the Impressionists’ Museum, the Musée d’Orsay, then met a friend for a drink on the Champs Elysées. We took a whole day away from Paris to tour Versailles (at my husband’s wish, not mine, though I was willing). Our last day in Paris was a rainy one, and we spent the morning at the Louvre. Then we wandered through the streets of the Marais district, had lunch and went to the Musée Carnavalet (Musée Picasso was closed). 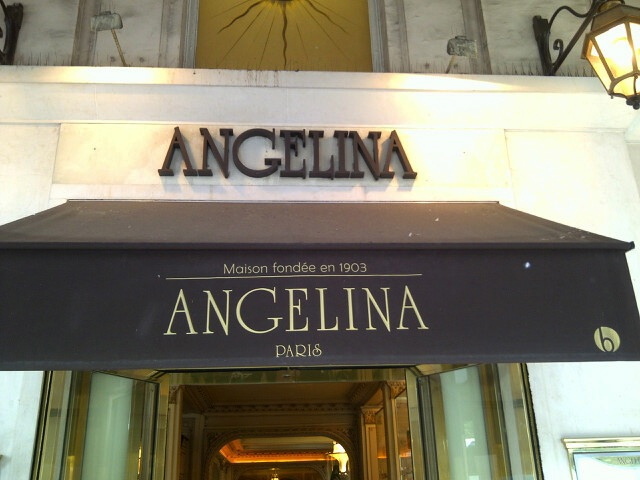 Afterward, we found our way back to Rue de Rivoli and located the famous Angelina Tea Room, known for its hot chocolate and delicious Mont Blanc dessert. But there was a queue, and since we were tired, we decided to pass, call it a day and go have a drink before dinner. 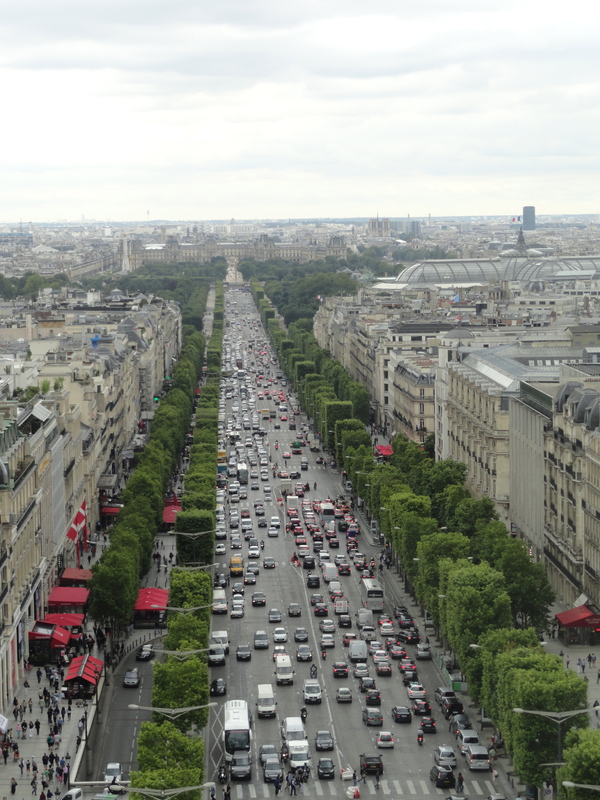 I had a long list of places to see and things to do in Paris that we missed, including the Musée Rodin, Saint-Germain-des-Près and the Jardin du Luxembourg. 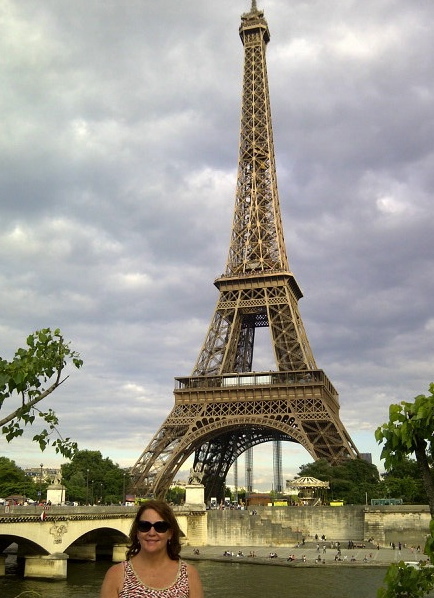 Though we had dinner one night at a wonderful restaurant in Montparnasse, we didn’t have time to explore the area. Due to lack of planning, we never dined at a 1-, 2- or 3-étoile restaurant — something we would have enjoyed very much, despite the price. Next time, we’ll plan to stay in Paris much longer, make our dinner reservations ahead, and avoid many of les lieux touristiques. I’m already happy just anticipating it. *For more about those unexpected moments that are more fun than those we plan, see the post Américaine in Paris.